Winter weather comes year after year and we all find ourselves having to drive in those frigid winter months. With that said the team here at Auto Clinic of Franklin want to remind all our valued clients to engage in cold weather vehicle maintenance before the winter season arrives. There are a variety of helpful tips you can use to winter proof your car that we have listed here below. To begin with, you want to check the anti-freeze in your car. Antifreeze makes its way into your radiator and is very important to your vehicle. Be sure that it is at appropriate levels at the start of the winter season. Next, you want to be certain that your windshield wipers are in tip top shape to allow the quick and easy removal of snow, rain, salt and even sand that gets onto your windshield during winter driving. If they are not performing at peak levels, make sure you replace them. Also, be sure to check the level of your windshield wiper fluid as well. 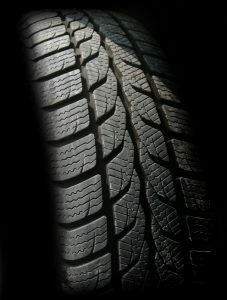 Further, you want to take time out to inspect your tires to ensure that they have sufficient tire depth and traction so as to avoid any slipping and sliding in foul weather. Continuing on with important steps to take we want to remind all our clients to check the battery terminals on your car. When the temperatures drop your car typically needs a whole lot more power so you want to be sure that your battery is able to handle the extra workload. Be sure to check the engine oil in your car as well as your brake pads, again to ensure that they are performing at peak levels in anticipation of the much colder driving temperatures. It is also important that you check the status and condition of your spark plugs as well. These important steps will help to ensure that your vehicle is up for the winter weather driving challenge and will also help provide protection for your vehicle from the cold weather elements. These cold weather vehicle maintenance tips not only contribute to the well being of your vehicle, but also contribute greatly to the safety of you and all your passengers as well. Remember, if you are not comfortable to perform any of these important steps, then no need to worry. Simply bring your vehicle on down to our facility and let the highly skilled and trained auto techs here at Auto Clinic of Franklin take care of all those winter woes. Our team is committed and dedicated to providing top of the line products and services each time every time. 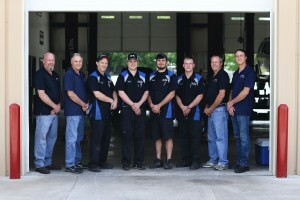 Having earned ourselves a spot on the marketplace charts as one of the best all round automotive service providers this side of Tennessee, our staff remains steadfast in maintaining that very presence and reputation. Should you also find that you are in need of any type of automotive repairs or services, then surely you have come to the right place. Here at Auto Clinic of Franklin you are our #1 priority which is why you can be sure that we will meet your every need with the greatest of ease and professionalism. Winter is truly upon us now, and whether you will be driving about here in Tennessee or have plans to travel to snowier destinations this holiday season, take time out now to have cold weather vehicle maintenance performed on your vehicle. We wouldn’t want you to get caught this winter with vehicle problems, so bring your vehicle in today and let us be sure you are prepped and ready for winter season driving ahead. From our family to yours we send along wishes for a safe and happy holiday season! !